 Radiologist Compensation Trends Downward - ONRAD, Inc.
ImagingBiz | Radiologists are clearly getting the shorter end of the stick on the compensation front. Salaries are on a decline, according to the “Physician Compensation and Production Survey: 2011 Report Based on 2010 Data” survey released by the Medical Group Management Association (MGMA). The report also showed discrepancies in primary and specialty physician compensation. Radiologists earned a median compensation of $471,253 last year, a decrease of 1.58% from 2009. By contrast, physicians in internal medicine earned $205,379 in median compensation in 2010, an increase of 4.21% over the previous year. Pediatric/adolescent medicine physicians earned $192,148 in median compensation, an increase of 0.39% since 2009. Conversely, decreased compensation was the watchword for anesthesiologists, who along with gastroenterologists reported decreased compensation. Psychiatrists, dermatologists, neurologists, and general surgeons were among specialists who reported an increase in median compensation since 2009. Primary and specialty care physicians in the Southern region reaped the highest earnings at $216,170 and $404,000, respectively. Primary and specialty care physicians in the Eastern portion of the U.S. earned the lowest median compensation at $194,409 and $305,575, respectively. The 2011 report includes data for nearly 60,000 physicians and nonphysician providers in more than 150 specialties, including demographic categories ranging from geographic region and practice setting (in small, medium and large groups) to years in specialty and method of compensation. The report also contains various performance ratios illustrating the relationship between compensation and production and data on collections for professional charges and work relative value units.